Sunderland this week, well for 9 days welcomes back Restuarant Week to the city centre. With a selection of independent and local chain eateries who are all taking part in providing some amazing deals from Saturday 16th March to Sunday 24th March. During this, 9-day extravaganza diners will have the opportunity to enjoy 2 or 3 course set menus for £10 and £15 per person. If you’re looking for somewhere for lunch some of the names on the roster for this Restaurant Week are also offering a £5 lunch special. In addition to this, all diners can enjoy FREE PARKING after 5pm in all of the council car parks or why not leave the car at home and call (0191) 555-5-555 and have Station Taxis, the main sponsors of Restaurant Week take you from door to door so you can enjoy plethora of cocktails too. 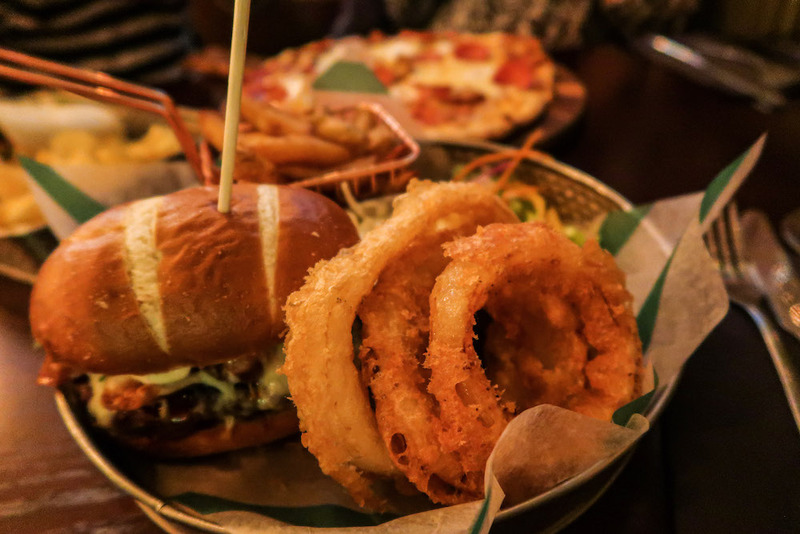 Check out where diners are recommending already by searching the hashtag #EatDrinkSunderland on social media and grab some inspiration for your visit. 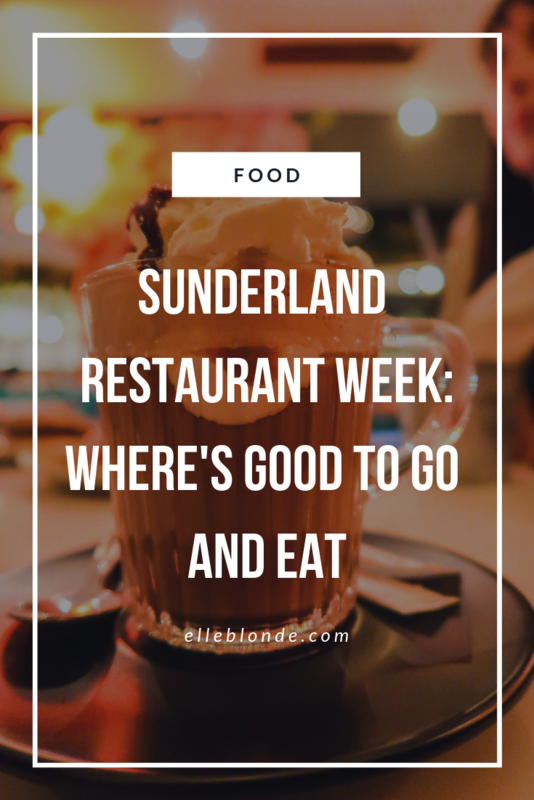 Just head to the Sunderland Restaurant Week website, where you can check out which restaurants are taking part; including names such as Nandos, Revolution and The Palm or discover brand new places you’ve never been before. 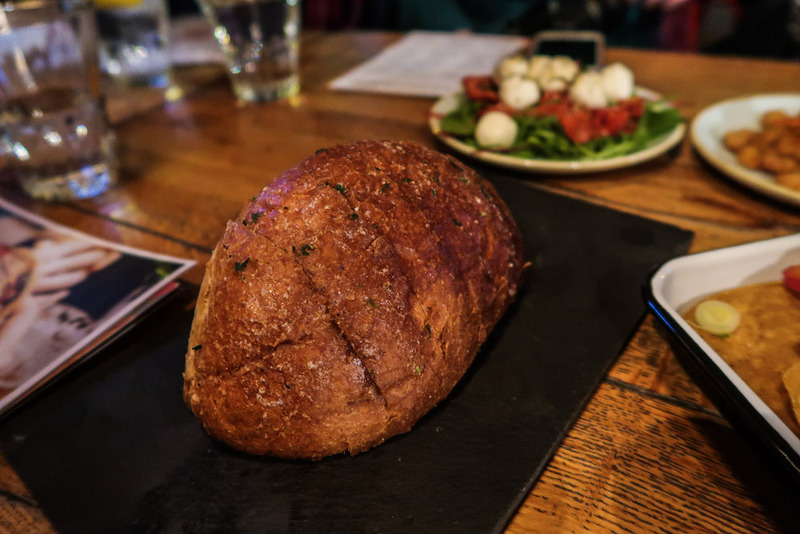 Ahead of Restaurant Week, we headed to a couple of the restaurants who are taking part this week and checked out what was on offer. 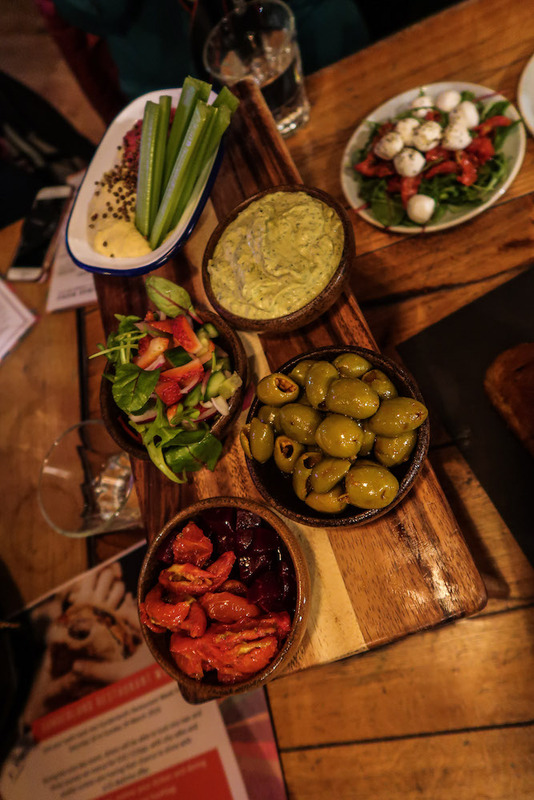 A Mediterranean style mezze platter with some sundried tomatoes, olives. A salad and hummus, and beetroot hummus served with celery sticks. Rounded off with Tzatsiki. 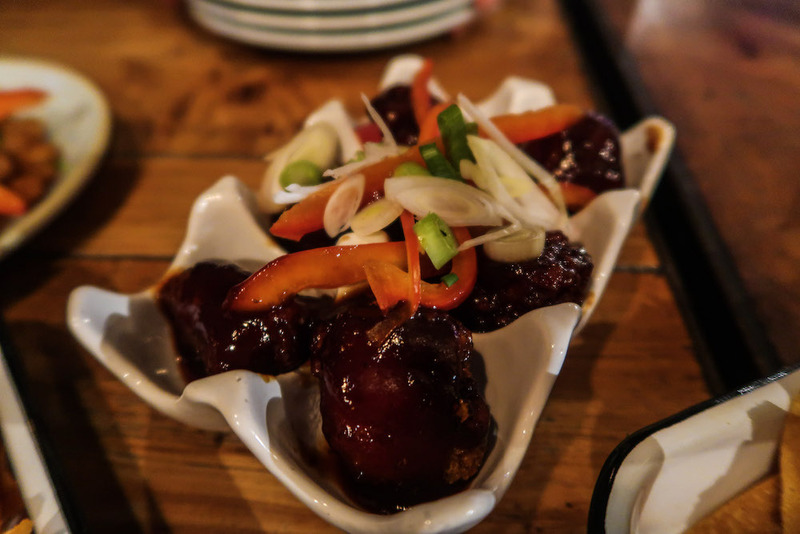 Chicken glazed balls served in an Asian style sauce, topped with Asian mixed vegetables. Pad Thai Chicken Nachos. 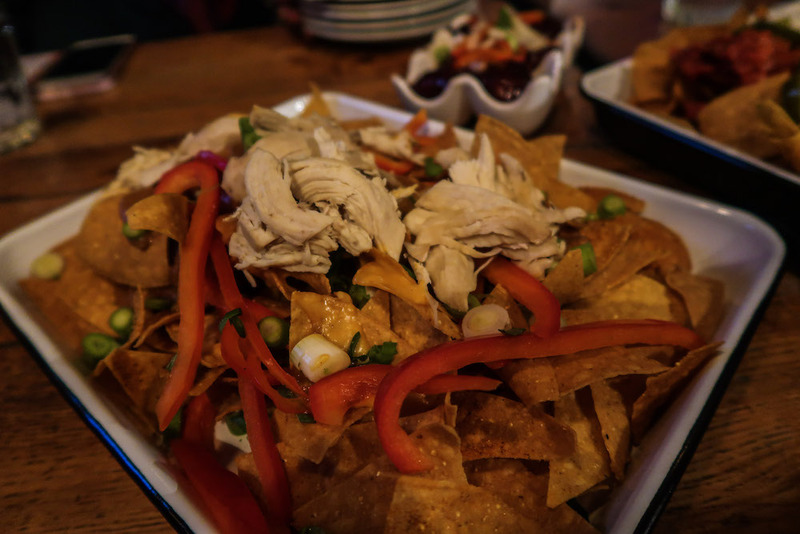 Nachos with cheese served with a sticky Pad Thai sauce drizzled over then topped with Asian style vegetables and chicken. This is a must have if visiting Revolution. The Garlic Bread Loaf, looks like it should be hard, however it tore perfectly. Suitably full of garlic this was a great accompaniment for the Mezze Board. And also ideal in size to share between friends. We headed a couple of doors down to Victors, formally a Weatherspoons. This bar is still very much has sport at the heart of it. 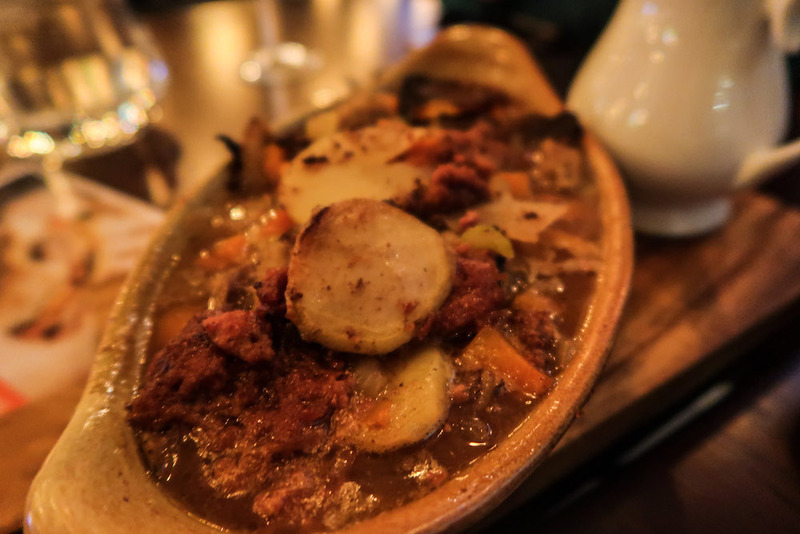 Serving up traditional, hearty dishes, it embodies a truly Northern Experience. 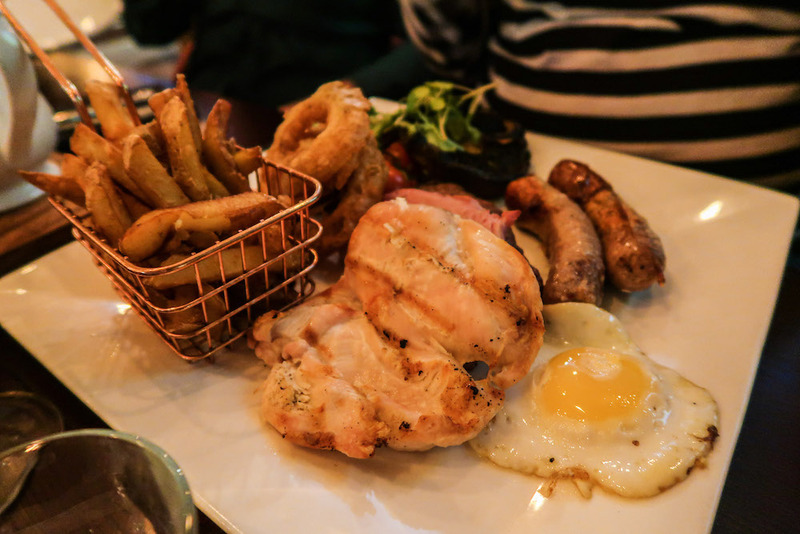 With meat being a huge focus of the menu you’ll find dishes including a mixed grill, served packed full of meat. Served with the most delicious home-cooked style chips. 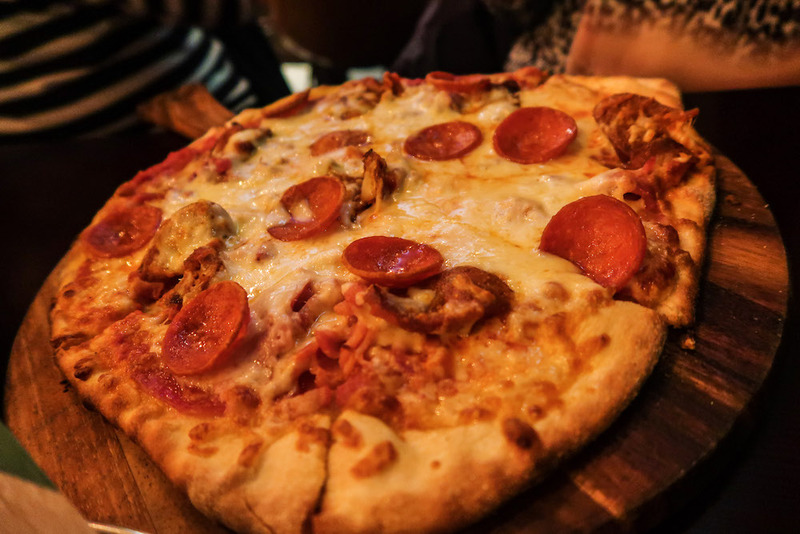 Pizzas are served with proper (thin) bases and loaded with stringy cheese and toppings. Ideal for sharing whilst watching the match. Their burgers are huge thick patties and seasoned well. Again served with chips and in a gastro-pub style without the ridiculous prices. Adding a little bit of home heritage to the menu you might want to try Panackelty. Which is a meat stew with various different meat including sausages and black pudding and vegetables like carrots and celery. 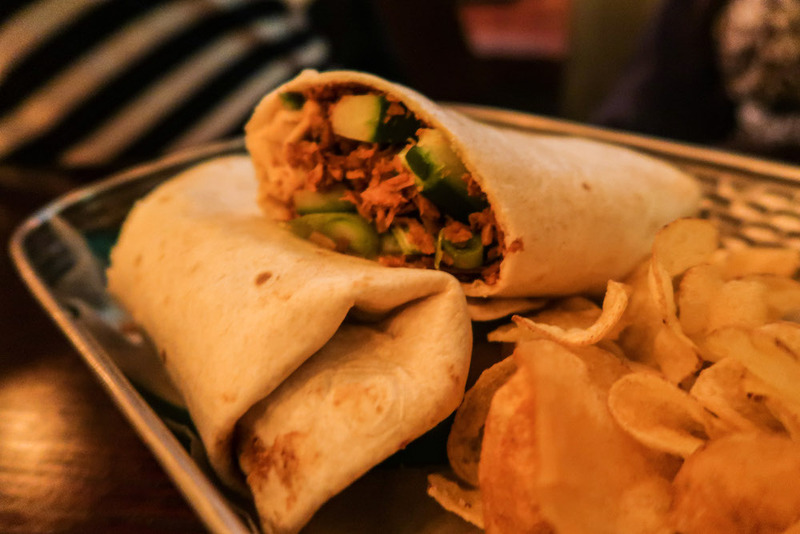 If you’re not big on meat Victors also cater for vegetarians and vegans and serve up this ‘duck style wrap’ amongst other items. 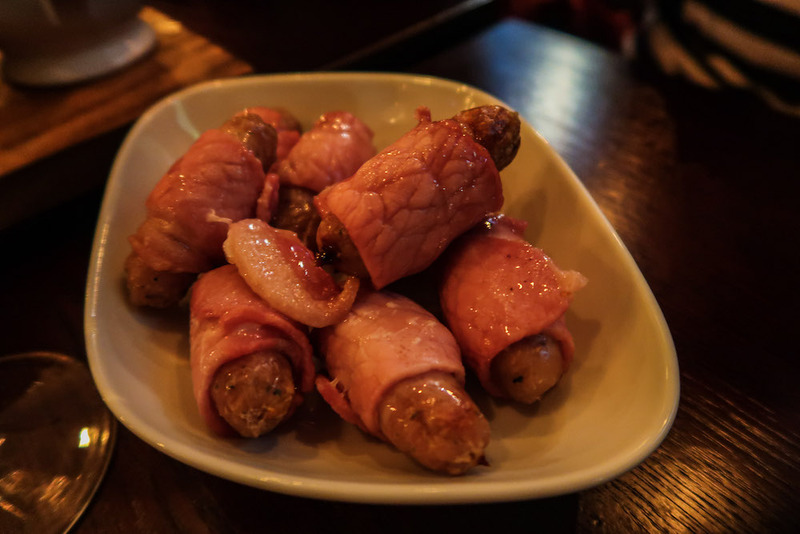 Victors is a great place to dine if you’re looking for good pub grub and a pub atmosphere to accompany it. The food is cooked fresh and the portions are huge. Ideal for pre-match bait. Finally, for dessert, we headed across town to 808 Bar & Kitchen. Which was serving up a storm with their pancakes. 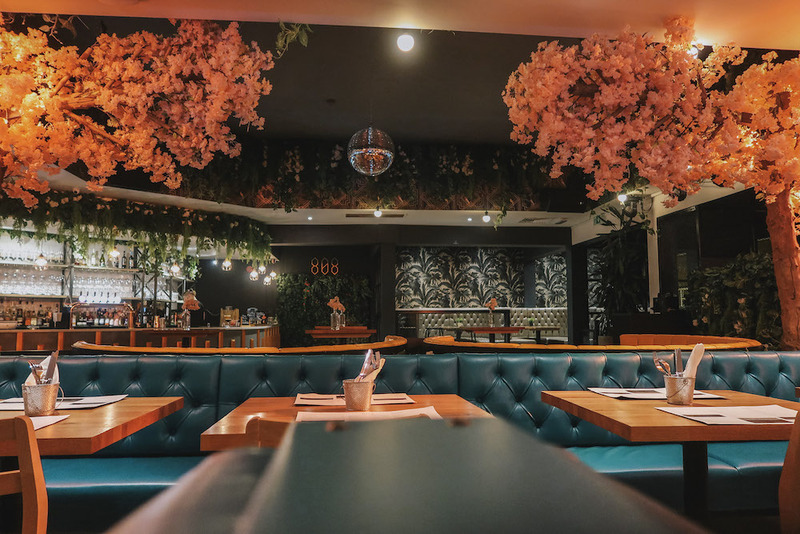 808 totally has an Instagramable charm, with every aspect having carefully been selected to reflect on the social aspect of the kitchen which also turns into a great nightlife destination come the weekend. Serving an extensive cocktail menu, burgers and other dishes it certainly is somewhere I’d like to return to sample the food, however for dessert we enjoyed light fluffy pancake stacks which oozed with topping. Obviously, with pancake day just been and gone, we still were in the mood. 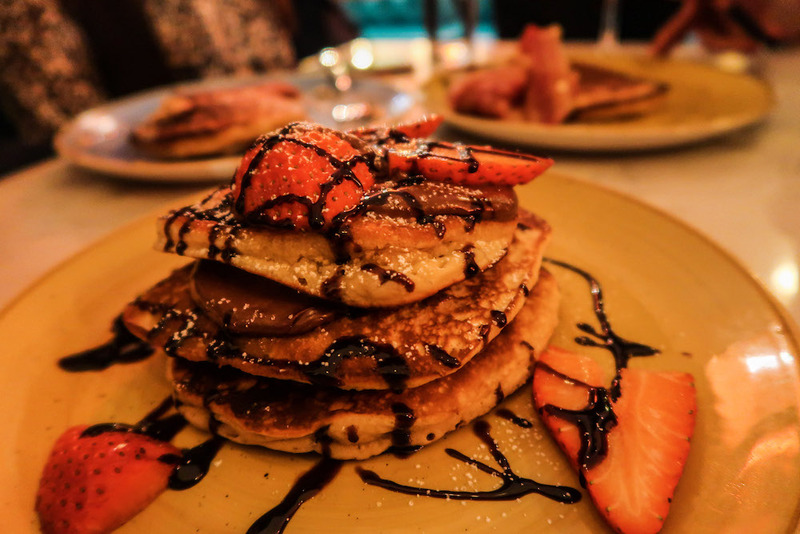 Enjoying pancakes laced with strawberry and Nutella, Cream Egg or Oreo they are a chocoholic’s paradise. Looking for more American style pancakes? 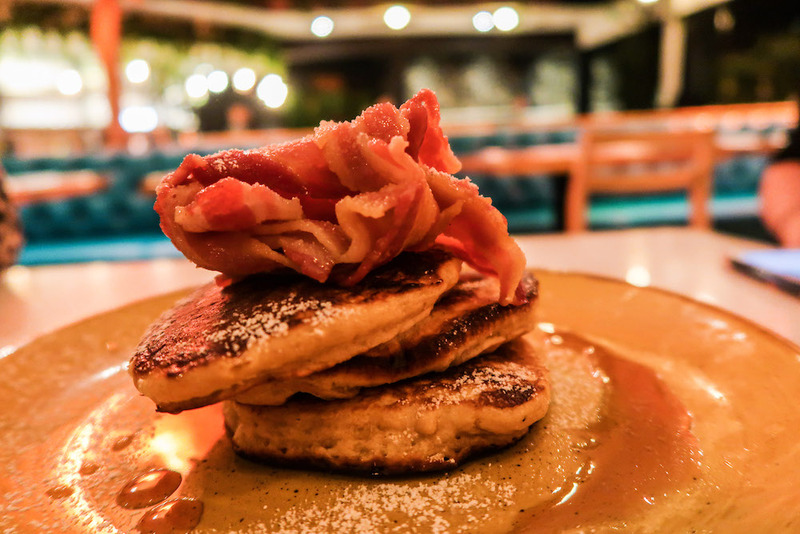 808 have you covered with their bacon and maple syrup. Sunderland Restaurant Week is in full swing now and you can see what restaurants are participating now. Don’t forget to download your voucher and enjoy! Don’t Forget These When Having Friends Over For Dinner!